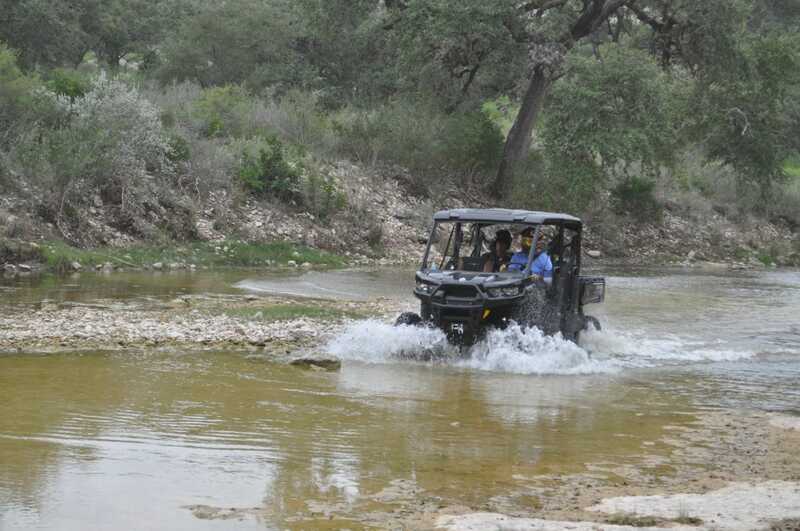 We prepare to begin our Can-Am adventure at the Ox Ranch near Uvalde. It was to be one of the best launches we have ever attended. I truly did not expect the Can-Am one Star Defender to provide such an exhillerating experience. I have spent a great deal of time riding off-road in pick-up trucks and SUVs, but very little in any type of ATV. 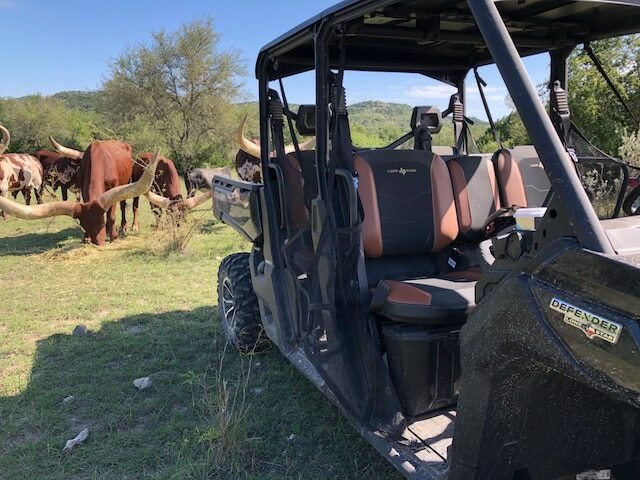 Thanks to our friends at Can-Am, that all changed when I was invited with my best friend to the Ox Ranch in Uvalde, Texas. Kristin Barclay and I spent an entire day cruising through some of the must rugged terrain in the state and were treated to interactions with some of the most fantastic wildlife we ever could have imagined. Kristin got to dance with a kangaroo, take a selfie with a giraffe, romance a herd of real long-horned Watusi, as well as drive through streams, up craggy bluffs, down steep canyons and break into fields straightaway at over 65 miles per hour, even though there was no pavement or level land in sight. The streams could not have been any more fun even with a jet ski! How and why were we both able to drive with such total abandon? 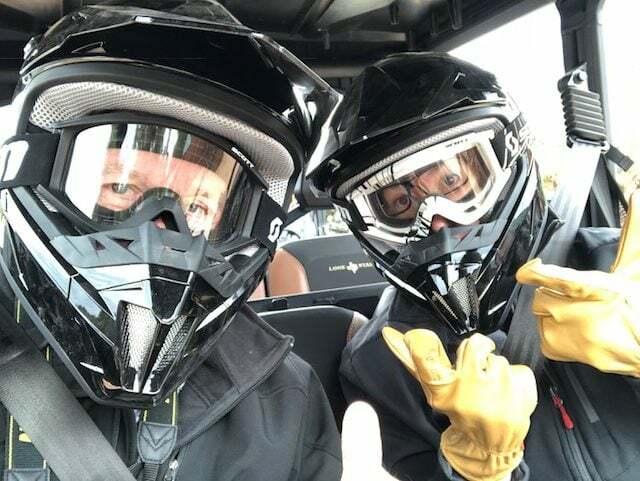 We mounted a Can-Am Defender Max Lone Star HD10 with completely unmatched versatility and (obviously) stability much greater than either of us would have been capable of under the power of our legs alone. 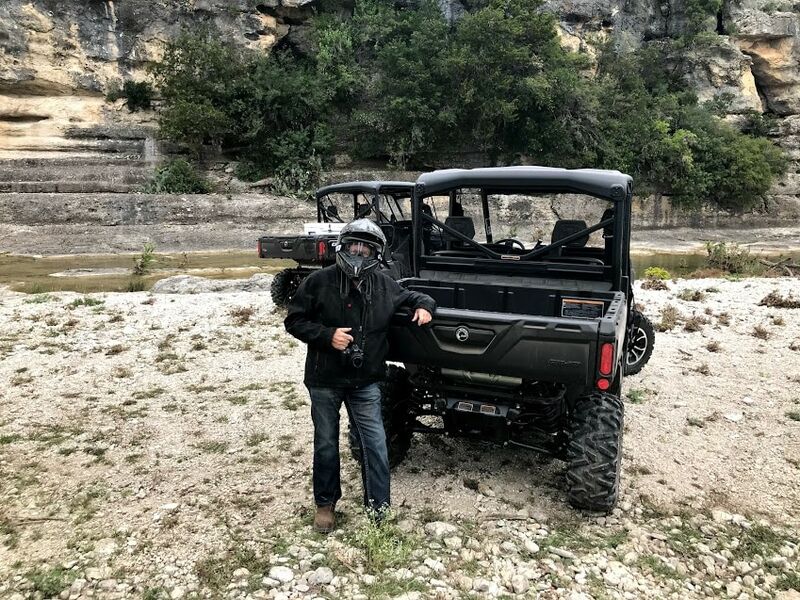 We were able to scale the steep inclines and race up to 65 mph off-road because the Lone Star Defender is equipped with a heavy-duty 72 hp HD10 V-Twin Rotax engine boasting 61 lb.-ft. or torque making it perfect for the exercises we enjoyed putting it through. The transmission offered us both high and extra-low speed gear choices as well as reverse. The ground clearance was sufficient to allow us to drive through normal depth streams without taking a bath nor causing any engine shut-downs. The acceleration was smooth and the torque provided was excellent for “get-up-and-go” capabilities when we wanted to “gun it” on the straigtaways. One factor that both Kristin and I really enjoyed was the comfort of the special Lone Star seats. As we “bounced” through the rugged foothills and over rocks and through valleys we never experienced back fatigue (it was something we both worried about before the ride). At the end of the day, we slept like babies with no pain or soreness. 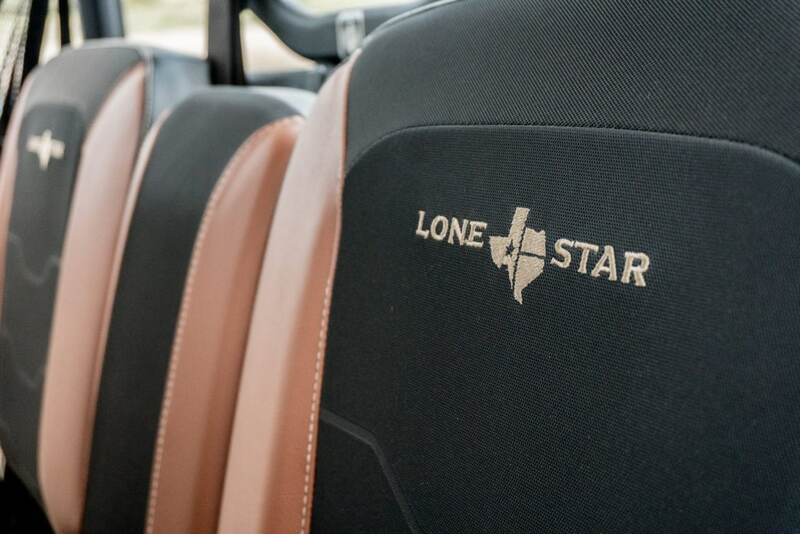 Buyers of the Can-Am Defender MAX Lone Star edition will be pleased that their new machine requires no break-in period and maintenance is not required until 1,865 miles or 200 hours. I can firmly guarantee my response will be YES, if and whenever Can-Am extends another invitation to drive any of their off-road vehicles. This adventure was fantastic in every sense of the word.